Had the pleasure of finally heading down to Turning Stone Resort the long weekend in July with my son Gus on a two night golf trip. Although Turning Stone is more noted for its gambling prowess I was excited to test out 3 of their 5 golf courses with Gus my 10 year old son who's been golfing for the last 4-5 years. If you don't know Turning Stone Resort it's about 3.5 hrs from the Ottawa area and is a premier four-season, destination resort in Upstate New York proudly owned and operated by the Oneida Indian Nation. 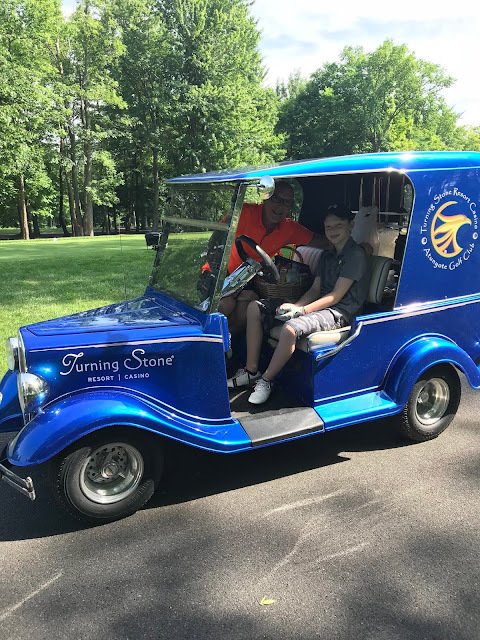 Be among the first to experience Turning Stone’s new Shenendoah Golf Course! 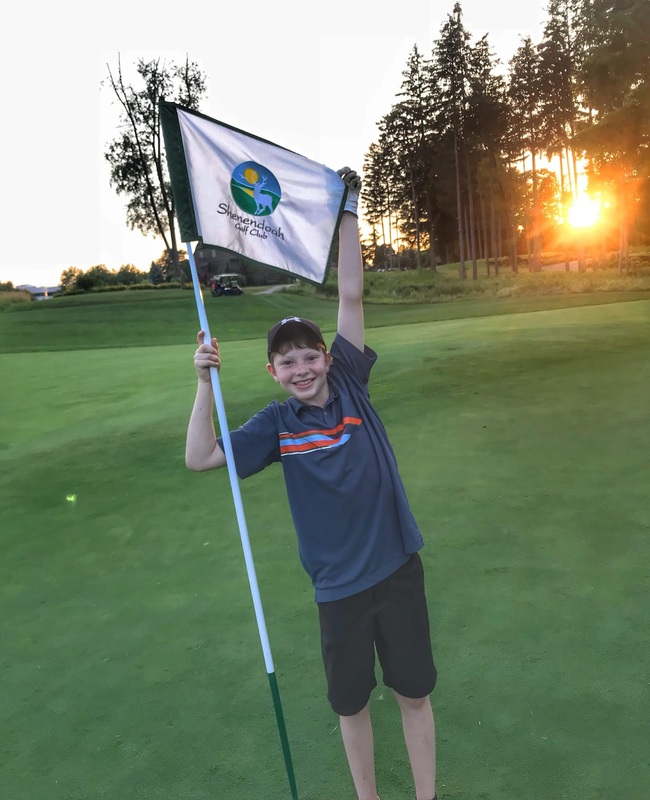 After an almost year-long redesign that resulted in seven new holes, the golf course has officially reopened. 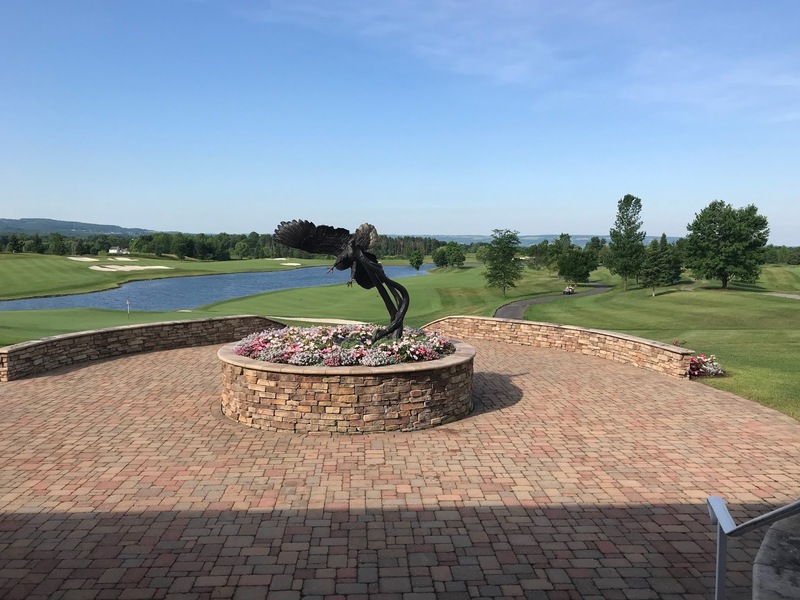 Shenendoah offers 18 holes of PGA-level golf in a spectacular natural setting. The course was built and is maintained to comply with stringent Audubon International standards for environmental protection and preservation. Designer Rick Smith used the natural landscape to create wooded parkland holes, open pastures that capture the links feel, and beautifully simple low country-style holes. Designed, constructed and maintained to TOUR standards at more than 7,000 yards, the course offers conditions normally reserved for TOUR professionals. In 2006, Turning Stone Resort’s Shenendoah Golf Club was host of the PGA National Club Professional Championship. Sandstone Hollow was built with the busy golfer in mind. 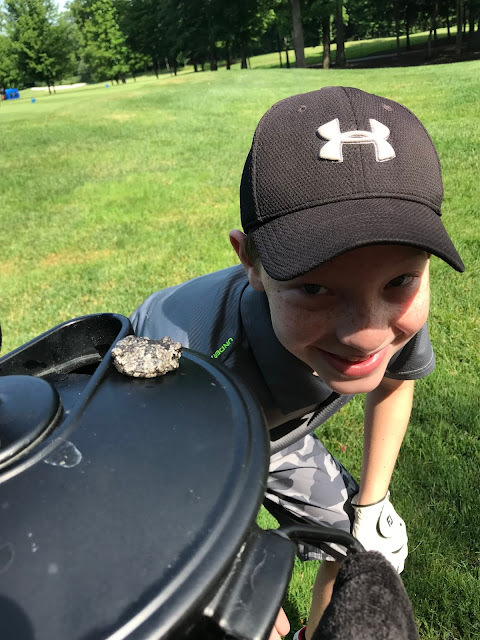 The result: a nine-hole, par three course that winds through woods and wetlands, with greens surrounded by wild fescue grasses and rock outcroppings. This isn’t a pitch-and-putt course. 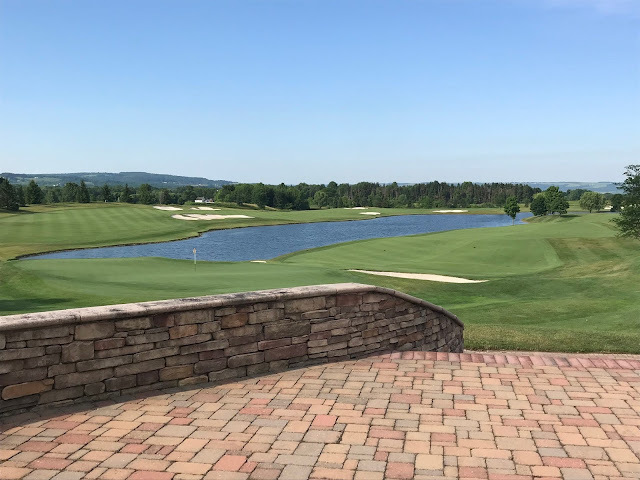 Designed by Rick Smith, Sandstone Hollow is rated among the top 25 par three courses in the USA by Golf Event magazine – and Sandstone Hollow will push your game to the limit. When you enter Atunyote Golf Course through the beautiful gate you know you're in for something special. 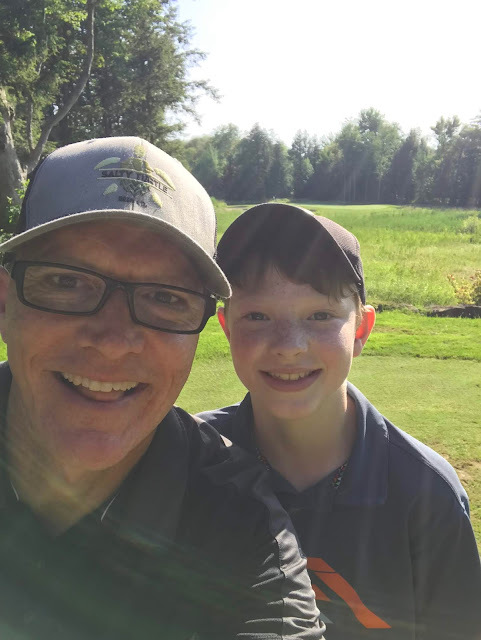 Gus and I teed off at 9:20am and had a blast the whole round. Just make sure you tee off from the appropriate tee box. 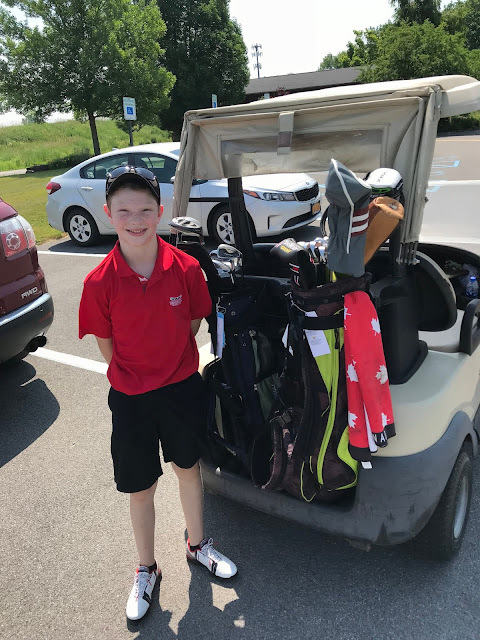 Gus is 10 and has been golfing for about 4-5 years so we both teed off from the reds(It's important to tee off of the same tees much more enjoyable for father and son and still challenging for the Dad). The view from the clubhouse eating our lovely breakfast, Gus had a hard time finishing his pancakes (and there his favourite). Lots of wildlife at Atunyote including this toad who was hanging out on the ball washer. Atunyote was a very playable golf course for Gus no long carries, larger fairways and some great par 3s. Perfect for a father and son getaway. The service was amazing at Atunyote and the carts that the Ladies used were the coolest Gus and I had ever seen. Thanks Allie you were great. Ready to start our round at Shenendoah. Gus loves firing over a water. Managed to skip this one onto the bank. Conditions and layout were perfect for the long weekend in July especially the par 3s. Gus really enjoyed his round at Shenendoah although he found some of the carries(over fescue) from the red tees tough. Although only a par 3 course Rick Smith knew what he was doing when he designed this beauty perfect way to end our Father and Son Golf Getaway. 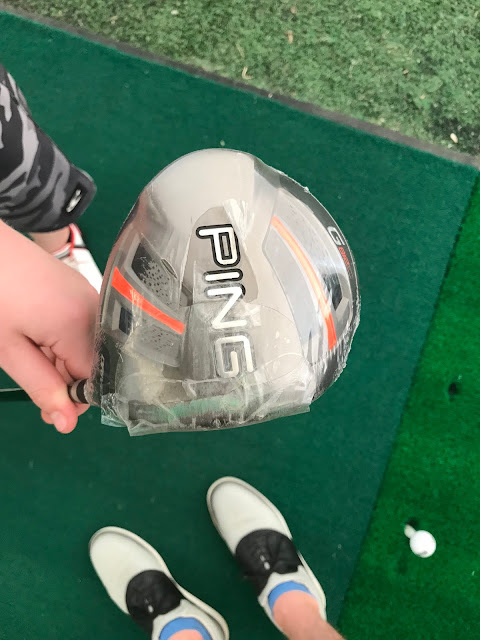 No tee time needed and relatively cheap for the quality and a test of golf for any skill of golfer. Remember tee it up at the appropriate tees. Ready to golf at Sandstone Hollow. 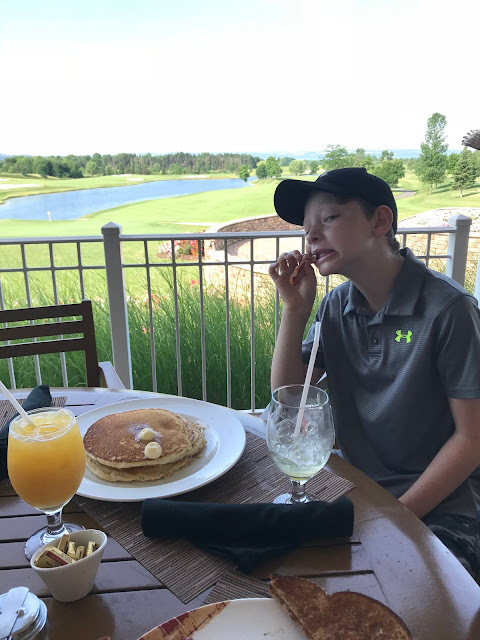 You'd think after a morning of golfing at Atunyote Golf Course Gus would of been tired but he wanted to check out the PGA Superstore and Golf Dome which offers an indoor practice area with 40 driving range hitting stations arranged in a double-deck structure. Needless to say he wore himself and the Ping G 812 Driver out. He pounded balls into the Golf Dome which stands seven stories high, and stretches 110 yards long by 80 yards wide. It was hard to get him out of there he enjoyed it so much. Amazing golf course the three (Atunyote, Shenendoah, Sandstone Hollow) Gus and I played top notch all the way from service on and off the course to quality and condition of the course. Accommodations to fit all budgets. Amazing service, Gus quote, "the people(Staff) here are so nice". SO much else to do if you're not golfing. 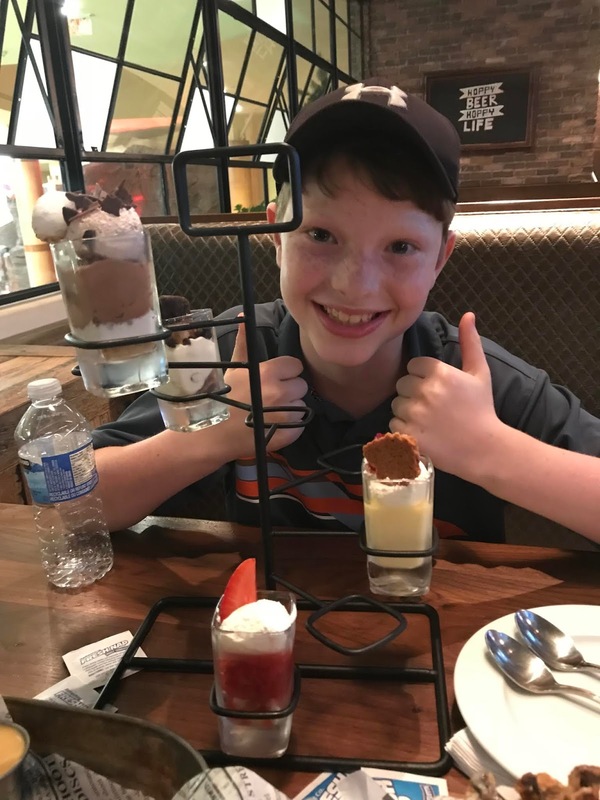 Gus loved access to the pool, arcade, Golf Dome, and many restaurants. Special dessert from staff at Upstate Tavern. Got amazing service from this young lady (Allie). Gus and I thought she was awesome. Ended up seeing her both at Shenendoah and Atunyote great smile and fun to talk to. Good Luck Allie.